Traditionally, hard rock mining has to use a leaching solution to extract the desired metal from the rock with copper. In the case of copper, sulfuric acid is used. Therefore, there are large quantities of sulfuric acid on-site. See Leach Solution Ponds data on the Duval/Sierrita site. The leach solution has to be piped from the ponds to the leach site. Then when the leaching is completed, the leach solution is recycled. Does it ever become so saturated that it has to be filtered? If so, how is the leachate disposed of? Further, there are regular spills of Sulfuric Acid at the plant. The officials claim that they move the contaminated soil. Where do they move it to? What is the impact on Groundwater? I have attempted with no success to have ADEQ and EPA look at the figures to determine if they were what were causing the spikes in the sulfate data at all the Community Water Company Wells. The spills do not occur in the same locations, they are not of the same quantity, and they do not necessarily have the same percentage of Sulfuric acid. Therefore, as they run down the hill, it could take different lengths of time to reach the aquifer. Assuming the liquid solution seeks out rifts, faults and gullies in its downhill route, one would also expect it to arrive with a faster speed than the tailings seepage, therefore, it will reach the aquifer faster,and have some force to spread out further when it reaches the aquifer. Another clear indicator of a solution different than tailings seepage is impacting the wells is the high percentage of sulfate shown in the water quality data at the time of the spikes. The fact that the Sulfate and TDS values gradually spike up and gradually go back down is not characteristic of tailings pond seepage. I finally figured out a way to determine the correlation between the dates of the spills and the dates of the spikes in Community Water Well #8. It takes around 39 months from mine leaching area to the well. This is faster movement than the standard plume, which is to be expected. In addition, after fifteen years, the delivery time speeded up which also is to be expected. Again, the time would also be affected by the amount of the spill, which would give it more force and cause a larger impact on the plume, but those figures has not been calculated. See Correlation of Date of spills and spikes. 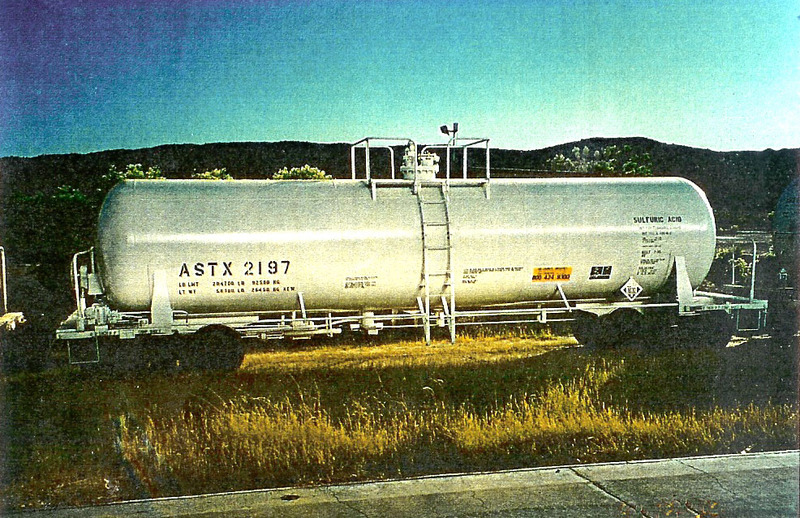 Photo of sulfuric acid tanker on site. Following are the tables of Water Quality with Sulfuric Acid spills added. Note the spikes in the values and the change of the percentage of Sulfate, indicating an infusion of sulfuric acid.